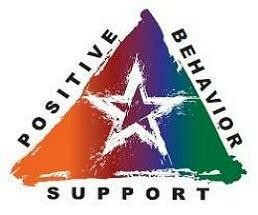 The Department of Developmental Services (DDS) plans to revise the regulations for “behavior management” to define standards for the implementation of Positive Behavior Support throughout the DDS system. This will apply to all providers which receive funds directly or indirectly from DDS. These changes are being made to improve the quality and effectiveness of behavioral practices and outcomes for all individuals served. The Guidelines are considered sub-regulatory, and are designed to guide providers in implementing a culture of Positive Behavior Support. In FY 2014, the DDS in partnership with members of the Clinical Sub-Committee of the Positive Behavioral Supports Advisory Committee completed 8 statewide Informational Forums on the implementation of PBS. Over 400 individuals attended. The audience consisted of Executive level administrators from the provider community and their senior clinical person. DDS has also sought input on the proposed PBS Guidelines from provider CEOs through the Association of Developmental Disabilities Providers workgroup. Attached below is the link to the questions most frequently posed by the forum audiences either in writing or orally, as well as questions and responses which arose from the ADDP workgroup. Questions are grouped by topic into sections: general questions, questions pertaining to qualified clinicians and practice, questions about training, questions about requirements and leadership responsibilities, and questions about data- based decision making.